While the construction industry eliminated more than 40% of its workforce between 2006 and 2011, the Oregon Zoo has had its fair share of facelifts. This newest expansion will include the new “Polar Passage,” an improved habitat for the zoo’s polar bears. The original habitat has been housing polar bears since 1959, so zoo operators knew it was time for improvements to be made. As Zoo Director Dr. Don Moore explained in a statement, the zoo plays an important role in species conservation — particularly as arctic animals feel the deadly effects of climate change. Along with the new polar bear exhibit, two other habitats will be part of the expansion. The chimpanzees and the rhinos will receive their improved living areas by 2020. Not only will these habitats provide guests with a closer view of the animals, but they’ll also allow the zoo to try to breed black rhinos, which are critically endangered in the wild. The improvements haven’t been easy to come by. Ten years ago, a $125 million bond was passed by voters to improve the zoo. But since construction costs have increased since then, plans have been modified to ensure spending was kept in check. With that same money, the zoo’s elephant habitat was expanded to six acres (four times larger than its original size), with softer surfaces for the pachyderms to parade around on. All told, nearly half of the zoo’s campus will be renovated. “We promised our community we would radically transform these old exhibits and provide for better animal welfare, better animal conservation and more sustainable exhibits in terms of energy and water, and we’re living that promise,” explained Dr. Moore. However, there are those in the community and elsewhere who are skeptical of the zoo’s claims. Anti-zoo billboards have been popping up in Portland, as animal rights activists are alleging that zookeepers have mistreated elephants. Chendra, a Borneo pygmy elephant who has been at the zoo for nearly a decade, has found herself at the center of the controversy. Activists say that the elephant, who was already blind in one eye before she came to the zoo, has been shunned by the rest of the elephants at the zoo. They also allege that zookeepers have used bullhooks on Chendra, a practice that reportedly does physical, emotional, and psychological harm to elephants. In addition, they maintain that Chendra shows signs of depression and boredom. While around 21% of parents strongly agree it’s a good thing for their children to be bored sometimes, the feeling isn’t a positive one for animals. Activists say that Chendra’s “circle walking” shows that she’s not doing well psychologically, but zookeepers explain that this behavior stems from the fact that Chendra’s limited vision requires her to look around her habitat in a way that differs from how other elephants do. 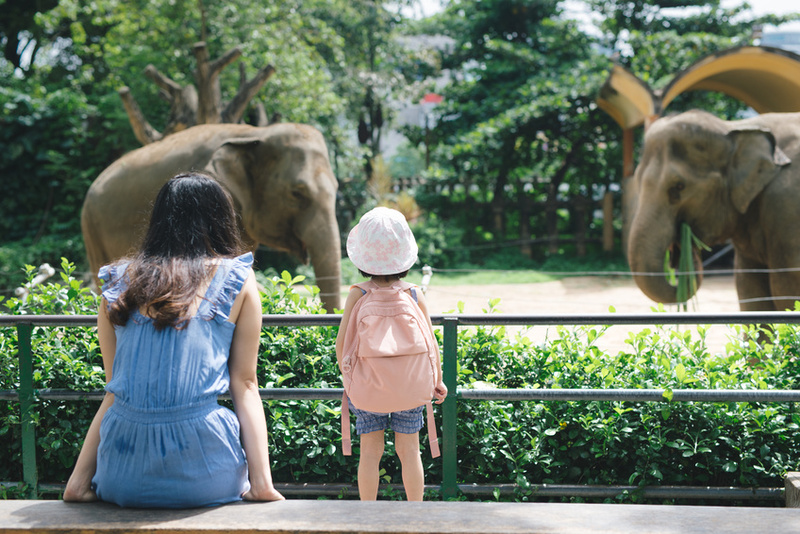 Najarian also pointed out that the zoo established a $1 million endowment to protect Asian elephants, a fund which has made it possible to employ two full-time elephant rangers with the Sabah Wildlife Rescue Unit. In an op-ed published on OregonLive.com, Dr. Sen Nathan of Sabah Wildlife Department pointed out the “well-meaning but misguided attempt” of local activists and the “profound lack of cultural understanding” they display by calling for the elephant’s release. Protesters planned to testify in late October at Metro Council, the organization that oversees the zoo. They also planned a protest at the zoo last month and paid for two billboards that read, “Oregon Zoo: Don’t Let Chendra Die Behind Bars” to be put up on major highways. While activists no doubt have their hearts in the right place, those with a greater understanding of species preservation and animal behavior may, in fact, be in a better position to determine whether a given creature is in crisis. There are certainly organizations that do not treat animals with the respect, dignity, and care that they deserve. But it seems that there’s no real proof that the Oregon Zoo falls under that category. For now, Chendra will stay where she is — and the planned expansions will move forward to serve the animals who live at the zoo (as well as those who visit them).